Barry Kroll specializes in the field of Composition­Rhetoric. 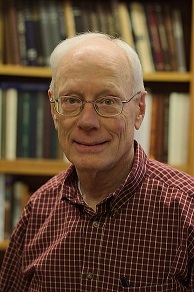 Within that broad field, he is particularly interested in arguments that involve intense disputes and serious disagreements, and his work has explored ways to participate in those arguments without using the adversarial strategies that tend to perpetuate conflict rather than resolve it. In his book The Open Hand: Arguing as an Art of Peace(Utah State/Colorado 2013), he considers alternative approaches to arguing, describing a course that draws on principles of dispute resolution as well as insights from the martial arts and practices of mindful awareness. Kroll also teaches courses on style, nonfiction writing, and speculative fiction. He is the author of Teaching Hearts and Minds: College Students Reflect on the Vietnam War in Literature (Southern Illinois 1993) and editor of several collections of essays.